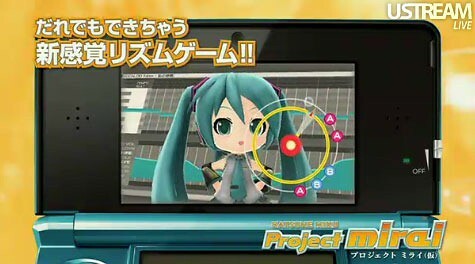 The gameplay is seemingly pretty similar with the PSP game Project DIVA series, albeit with a new rhythm system unique to the 3DS game. 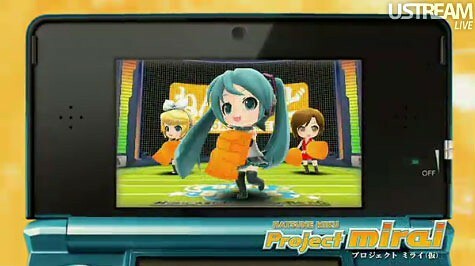 Rin, Miku, and MEIKO in ... support/cheerful version!? 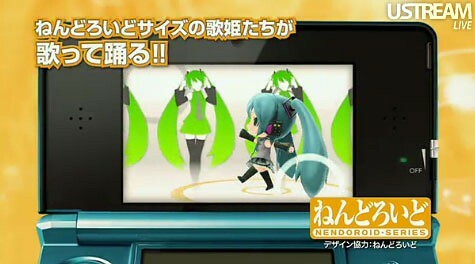 This entry was posted in News and tagged 3ds, hatsune miku, nendoroid, project mirai, vocaloid. ← Custom Nendoroid of Mikatan? 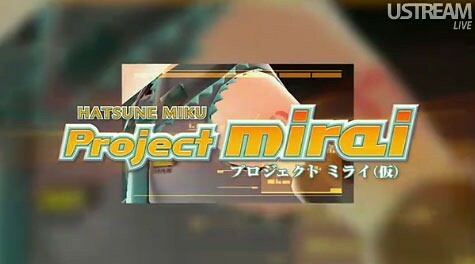 Danny Choo’s Mirai? One reason NOT to get this game.